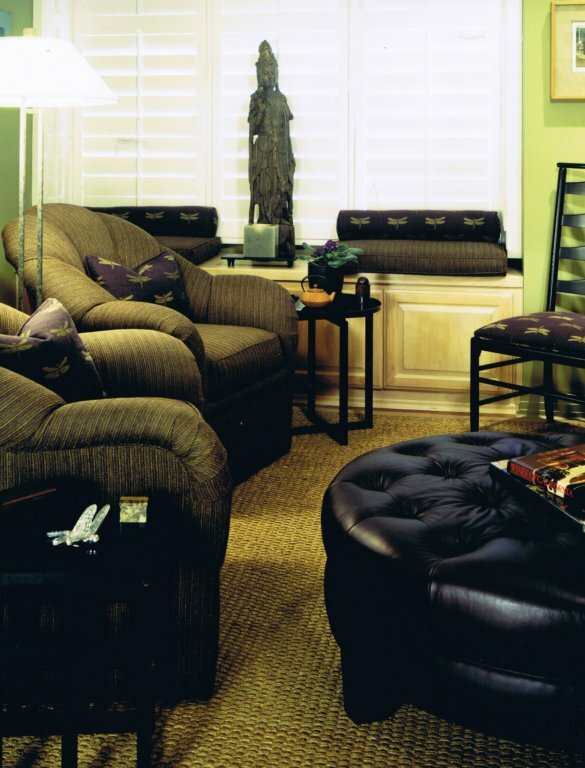 Asian accents bring a calm cultural influence to this intimate media room. 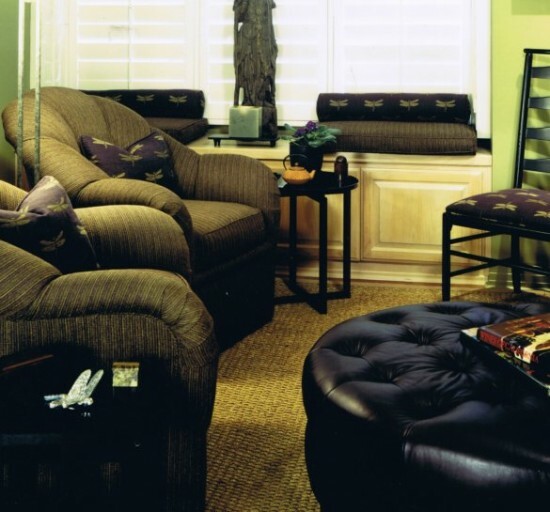 The dragonfly fabric and leather ottoman repeat the client’s favorite eggplant color in this peaceful, minimalist residential design. "A cozy comfortable chair for reading and relaxing is essential for every home."